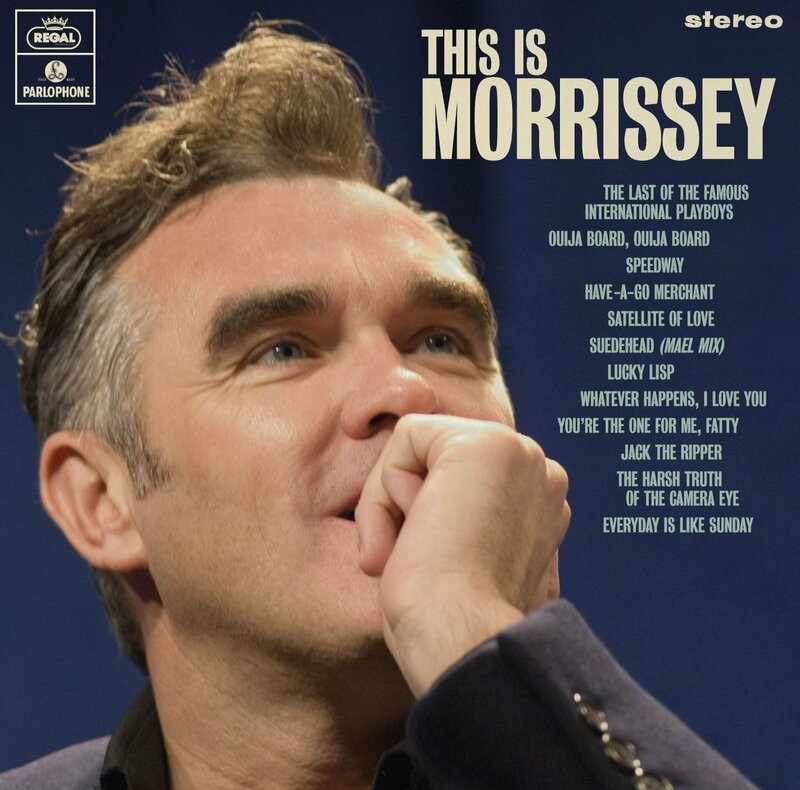 Morrissey is never one to do things the accustomed way, instead throughout his career he's carved a niche in the musical landscape which only he can occupy. This Is Morrissey. A collection of studio classics, live tracks and the alternative Mael mix of the ever-popular ‘Suedehead', all chosen by the man himself. The semi-random 12-track selection includes two Record Store Day A-sides (the Mael Mix of Suedehead and the live Satellite of Love) neither of which have been issued on CD before, along with 10 other tracks from albums and singles issued on Parlophone in the late 80s and early 1990s. For some reason, Your The One For Me Fatty is a live version. The vinyl has a bonus track of Angel, Angel Down We Go Together, from Viva Hate.